We need to make it better now! Yesterday, David Kato, a spokesperson for Sexual Minorities Uganda (SMUG) was murdered in his home in Uganda. Three weeks ago I wrote a blog on bahairants referring to this letter from the Universal House of Justice sent the the National Assembly of the U.S.A.
(Letter from the UHJ to an individual, 27 October 2010) Emphasis added. The whole letter is here. Further on in the blog I mentioned some instances of Bahais being associated with anti-homosexual organizations such as the “the Interfaith Rainbow Coalition Against Homosexuality” group in Uganda. I went into some detail there to show, that these examples were not just random nor small things and ended my blog with a plea for equality, a plea not to discriminate. In order to do that Bahais will need to change the current negative image towards a positive one of openness towards gays. This blog is my attempt, and also a form of protest on hearing of the murder of Ugandan gay activist, David Kato. Here is the story and please comment (anonymously or not). “Human rights activists have warned that the lives of gay people in Uganda are in danger, after a newspaper published a story featuring the names and in some cases photographs of 100 homosexuals under the headline “Hang Them”. The widely read tabloid Red Pepper has already “outed” dozens of gay people under headlines such as “Top Homos in Uganda named”. But the Rolling Stone story goes further in apparently inciting violence against gay people. “Sexual Minorities Uganda (SMUG) is a non-governmental organization based in Kampala, Uganda. It pushes for the protection and human rights of lesbian, gay, bisexual and transgender Ugandans. In response to an article in the Ugandan newspaper Rolling Stone (of no relation to the American publican of the same name, which rejected the Ugandan paper and its actions as “horrific”), published a gallery of “100 Pictures of Uganda’s Top Homos Leak” and stated “Hang Them” [http://www.msnbc.msn.com/id/39742685/ns/world_news-africa/], three members of SMUG whose faces appeared in the magazine – David Kato Kisulle, Kasha Jacqueline and Onziema Patience – filed a petition to the High Court seeking for the ending of the paper’s circulation of the article. The petition was granted on November 2, 2010, effectively ruling for the end of the Rolling Stone publication. However, at 1 p.m. on January 26, 2011, Kato, whose picture was among the 100 listed in the Rolling Stone article and was featured on the cover of the edition, was assaulted in his home in Mukono Town by an unknown male assailant who hit him twice in the head before fleeing on foot; Kato later died on route to the Kawolo Hospital. 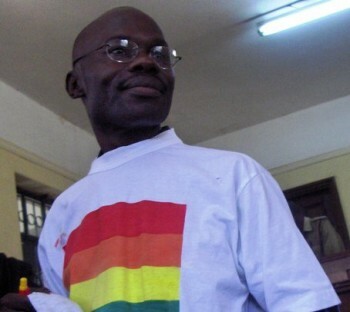 The murder was decried by Human Rights Watch[http://www.hrw.org/en/news/2011/01/27/uganda-promptly-investigate-killing-prominent-lgbt-activist], with senior Africa researcher Maria Burnett adding that “David Kato’s death is a tragic loss to the human rights community”. “LGBT Ugandans have lived under a menacing atmosphere for more than a decade. The anti-gay hysteria has increased significantly since the introduction of the draconian Anti-Homosexuality Bill into parliament in 2009. That bill, which remains under review Parliamentary committee, would impose the death penalty on LGBT Ugandans under certain circumstances and criminalize all advocacy by or on behalf of LGBT people. It would also criminalize even knowing someone who is gay if that person fails to report their LGBT loved one to police within 24 hours. Parliamentary elections are scheduled for February 18, and the bill is expected to be considered after Parliament returns for a lame-duck session before the new Parliament begins in May. Vote below as an act of solidarity or go to David’s page on Facebook and post a note on his wall or light a candle for him. I will light a candle for him this evening, here in the Netherlands. You are currently browsing the Just a Bahai Blog blog archives for January, 2011.